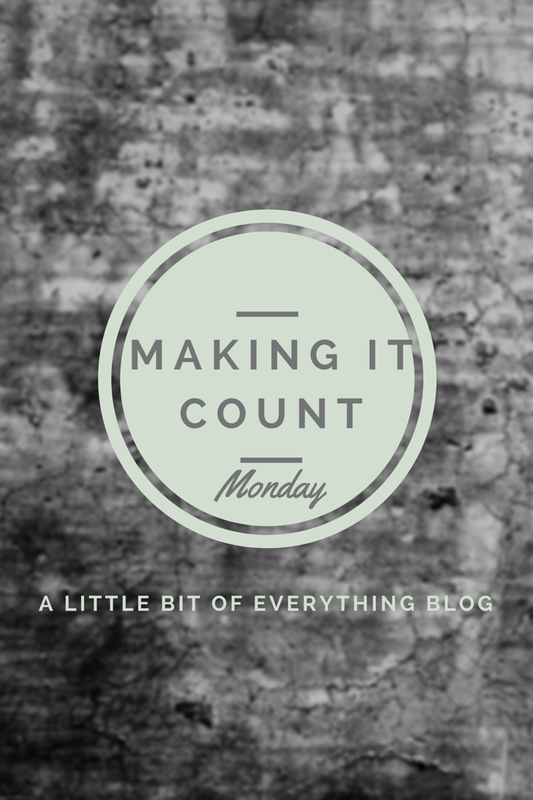 Today I'm sharing a new series called, "Making it Count, Monday". When I think about my role as a mom and how much I want to teach my kiddos, I can get a little overwhelmed. Can't you? We have to teach them manners, what words mean, how to treat other people, and on and on and that's only 1% of my entire list! I hear other moms with older kids say all the time, "Enjoy it because it goes by so quickly". I'm really trying to make my moments count. Don't get me wrong...we watch our fair share of movies around here and the kids have plenty of solo playing time. I'm not a pro at this. Trust me!! But sometimes I hear another mom tell about something they do at home and it's like, "AHA! Why have I not been doing that?" I'm just talking about a few minutes each day or week or month that we're intentionally doing something together. This series is all about how we as moms make these moments count! 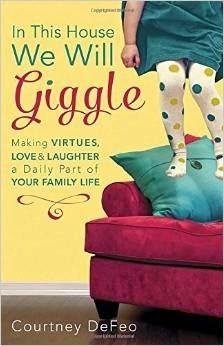 A few months ago, Shay blogged about this book, In This House We Will Giggle, by Courtney DeFeo. I'm in the middle of reading it now and I'm absolutely loving it. It's broken into twelve sections and each section has a virtue (joy, love, generosity) with lots of examples about how to discuss these with your kiddos and some fun activities. I guess I'm cheating a little bit this week, because my "Making it Count" suggestion this week would be to go buy this book and do some activities with your kiddos. So glad you are doing this and I can't wait to hear more about it. I loved that book so much! You are exactly right, this is such a special season in our life right now...we need to make it count! What a great idea for a series!!!! Love this Erika! So sweet! I need to read that book! It sounds amazing!! Love this!!!! As a mom with two grown kids I can never stress enough to make each moment count and treasure every second!!!! Love this idea! Though I don't have kids of my own yet, I would love to read this and get some ideas for my students! Thanks for sharing! I love this idea. I will be checking in to read them. I've got to head to Barnes & Noble and get that book! I need to add this one to my list! Really want to read that book! I constantly have to make an effort to LIGHTEN up. :) Thanks for starting this new series. It sounds like a great idea, and I can't wait to see your posts. Amen to this series :) I read that book last fall and it was fabulous, one I am sure I'll reference back to for years to come! Thank you so much for sharing my book! I'm so thrilled your enjoying it!